The new CAMO Drive stand-up tool from National Nail Corp. can perform collated fastening edge, clip and face-fastening, allowing contractors to install decks up to five times faster, the company says. They’re often overlooked, but the right deck fasteners are key to a successful deck project. No matter the material a builder uses, the wrong fasteners can ruin any outdoor living project. Dealers play an important role in making sure their customers select the right product. 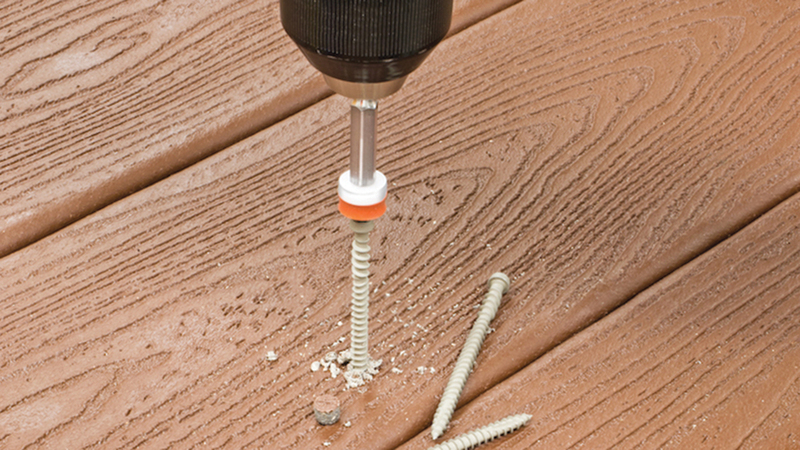 Simpson Strong-Tie’s new Deck-Drive DCU Composite screw can be used in both composite and PVC decking products. It’s available in 11 colors and a length of 2-3/4″. Simpson Strong-Tie has recently introduced several new products for the decking market. Its new Deck-Drive DCU screw plugs allow contractors to install decking without visible screw heads, leaving a clean, professional finish. “The plugs are made from popular decking and trim materials for an exact color and grain match, are designed for use with our Deck-Drive DCU Composite screws, and can be installed either by hand or with the labor-saving Quik Drive auto-feed screw driving system,” Shirley says. 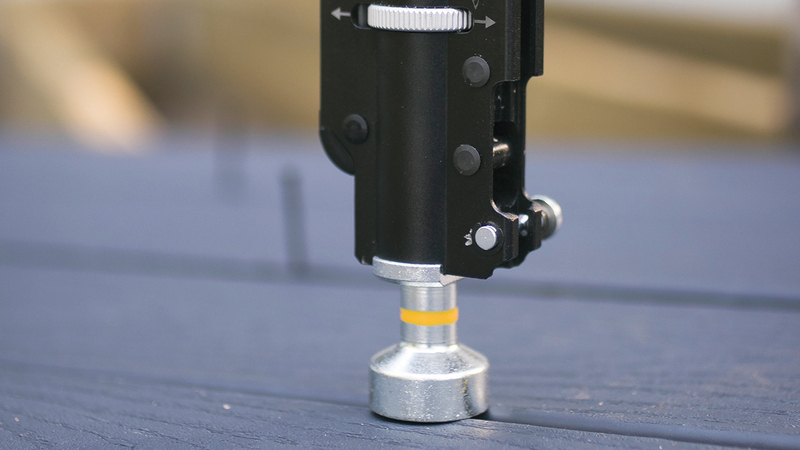 The Simpson Strong-Tie Deck-Drive DSV Wood screw and DCU Composite screw are both available collated for use with the Quik Drive PRO300S decking system. The DSV Wood decking screw features a variable thread design that reduces torque, making it Simpson Strong-Tie’s easiest screw to install into wood decking. It’s available in tan, red and gray, and in lengths ranging from 1-1/4″ to 4″. The 2-3/4″ DCU Composite screw can be used in both composites and PVC decking products and is available in 11 colors. Simpson Strong-Tie also has redesigned the EB-TY Hidden Deck-Fastening System by integrating a stainless-steel reinforcing plate to provide additional hold-down and pull-through capacity for the fastener, maintaining a secure connection when seasonal contraction and expansion occur. With a labor shortage that shows no signs of abating, it’s more important than ever that deck fasteners be easy to use and quick to install. Those twin desires are the impetus behind many of the new fastener products on the market. The MiTek Pro Series Washer Head is an alternative to traditional lag screws and through-bolts. It is said to be easy to install and reduces labor on the jobsite. The large, flat washer head allows for less interference after installation. Contractors also want a product that’s easy to use and is affordable. The new CAMO Drive standup tool from National Nail Corp. is designed to meet those needs and can handle edge, clip and face fastening, all with the contractor’s own drill, Palmer says. National Nail has introduced two new clips in conjunction with the CAMO Drive. The Edge Clip, for 90-degree decking patterns, hugs the joist and requires no partial drilling. For builders who choose not to use the CAMO Drive, every pail of Edge Clips comes with the “Never Miss Guide” to guide the drill head and allow quick installation. The new Edge X Clip hugs the inside of the grooved deck board and works for any angle. GRK redesigned the R4 to provide professionals increased speed for improved productivity, with several new features: a fast-bite tip, a precision-fit star bit head, a W-cut and optimized thread length. GRK’s next generation of its R4 multipurpose framing and decking screw has also been redesigned to improve contractor productivity, with a nod toward the tight market for skilled labor. The new R4 includes several features designed to boost productivity: a fast-bite tip to eliminate the need for pre-drilling; a precision-fit star bit head to reduce wobbling and eliminate the need to hold the fastener; a W-cut to reduce installation torque; and optimized thread length to improve clamping force and drawing power. 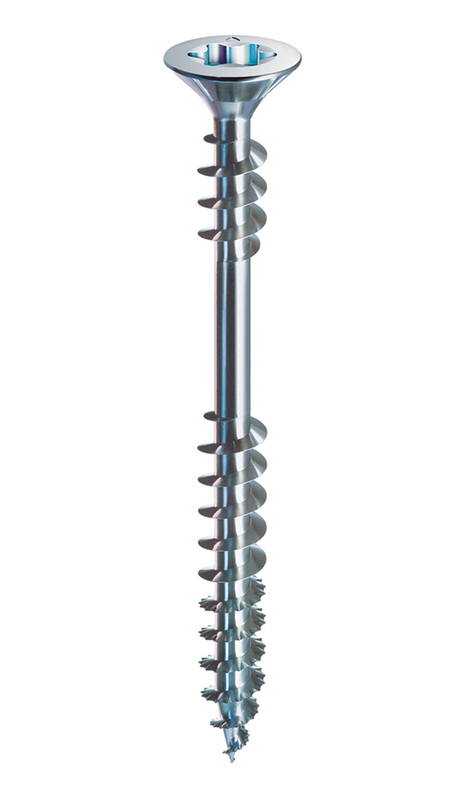 The Lightning decking screw from The Phillips Screw Company features six points of innovation: a Stick-Tight drive, low- energy threads, a super sharp instant-start tip, threads that roll all the way to the tip, under-head, and upper and lower threads for a strong plank to joist bond. 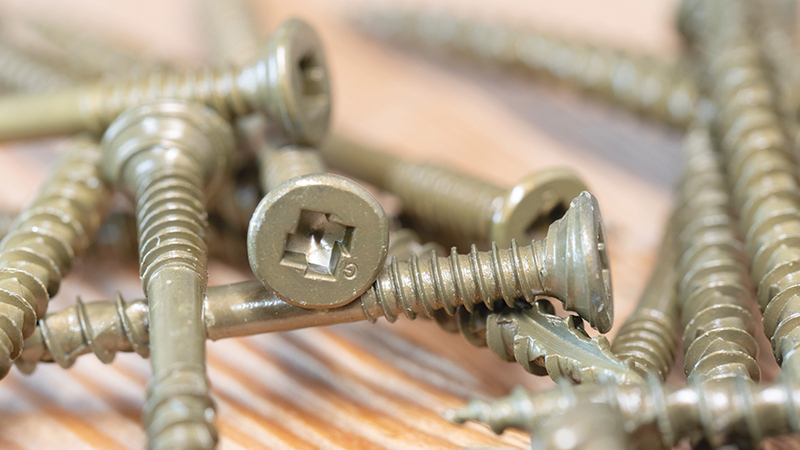 When The Phillips Screw Company was getting ready to launch a new line of deck fasteners, it talked to contractors and identified three major frustrations with those on the market: slow starting, slow driving, and dropped screws. The company’s new Lightning line of deck fasteners is designed to address all three of those problems, says Todd Ruehs, vice president of business development and brand strategy. Lightning screws feature six points of innovation, including the patented non-magnetic, Stick-Tight drive system to stop dropped screws and allow one-handed installation. With Stick-Tight, a precision-engineered bit matches with the recess for a stable interaction between the bit and screw. The company also created low-energy threads designed to start faster and drive more quickly than a traditional thread, a super sharp instant-start tip and threads that roll all the way to the tip for faster starts, under-head ribs for perfect countersinking, and upper and lower threads for a strong plank to joist bond. Grabber developed the new UltraPro screws to help take the hassle out of driving screws so contractors can concentrate on the job. Another new fastener designed with ease of use in mind is the new UltraPro Wood Screw from Grabber Construction Products. The UltraPro is designed to be best-in-class in each of six areas: Ease and speed of driving, ability to draw wood members together, flush seating, shear strength, corrosion resistance, exterior and interior options, and drive time. Featuring the proprietary Grabber LOX recess, the UltraPro screw has eight points of contact with the drill bit, while the QuickGrab type 17 point makes for an easier start with no pre-drilling. The screw’s lower Ultra-Cut threads reduce the pressure needed to keep the screw engaged and the upper DrawTite threads draw the wood together. 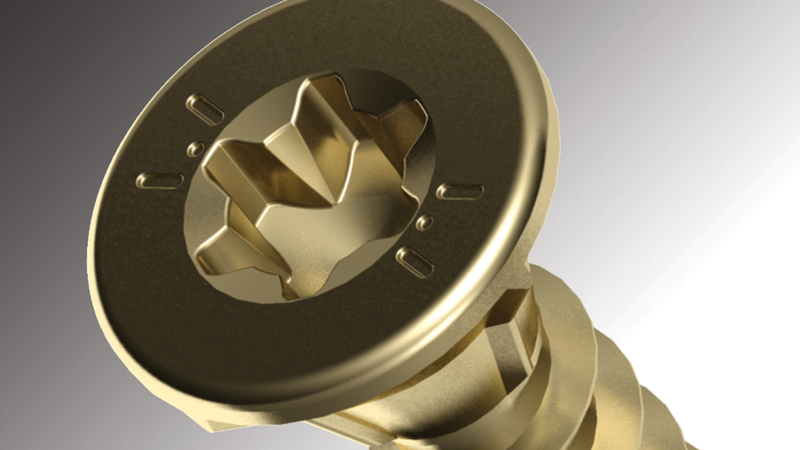 Code changes are also prompting new products in the fastener market. The proprietary U2 Gold coating consists of a multi-layered coating with multiple films, formed by thin layers of a silver base and golden top coating. “The U2 Construction Screw is the next generation of construction screws that are replacing lag screws,” says U2 Fasteners President Uli Walther. The U2 Construction Screws are available in lengths from 1-1/2″ to 20″ made of hardened steel, and in lengths from 2-1/2″ to 6″ made of 316 Marine Grade Stainless Steel. The screws are structural & ACQ treated lumber code compliant in IAPMO report ER-454. U2 added more than 40 types and sizes of fasteners in 2018, and is always innovating, Walther says. 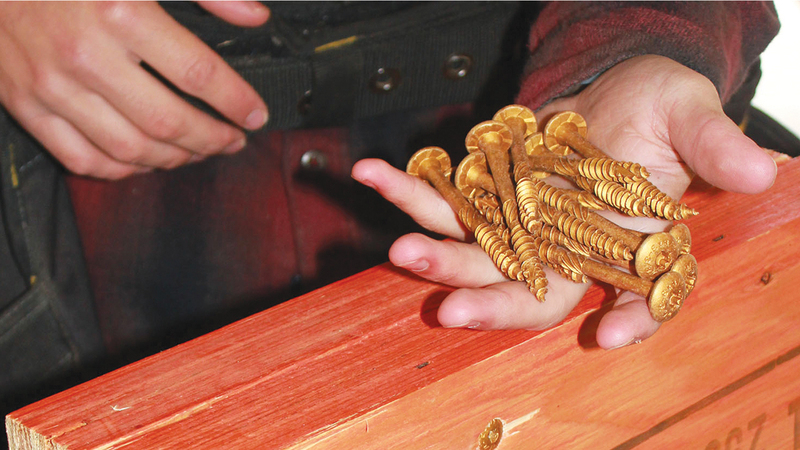 Maze’s hot-dipped fasteners have a thick coating of zinc on the nails said to provide long-term rust-resistance. 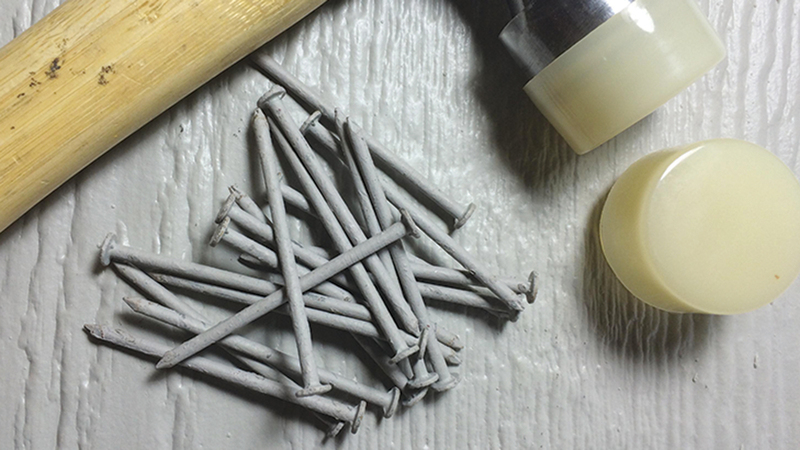 Building codes are also driving the demand for hot-dipped galvanized nails versus electro-galvanized nails, Pohl says. Maze is the exclusive manufacturer of double hot-dipped galvanized nails, marketed under the Stormguard name. The Huttig-Guard Platinum series offers a lifetime limited warranty and features a star drive, type 17 point, double countersink flat head and knurled shank. 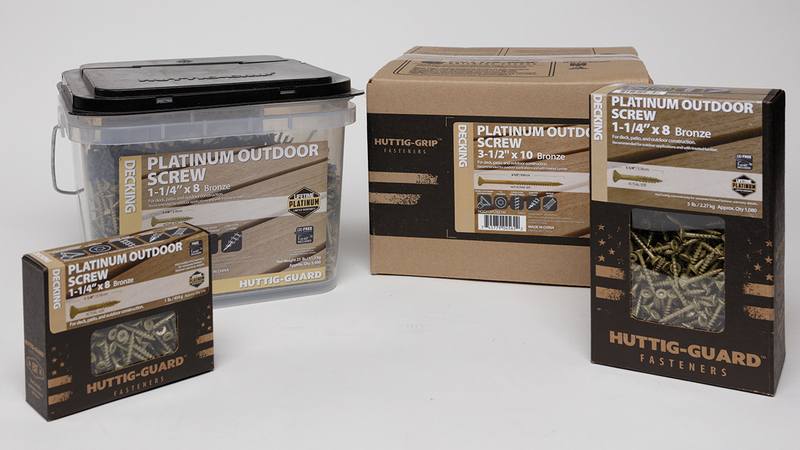 Selling higher-quality products can mean better margins for dealers, something Huttig has tried to capitalize on with its Huttig-Guard Platinum Deck Screw. 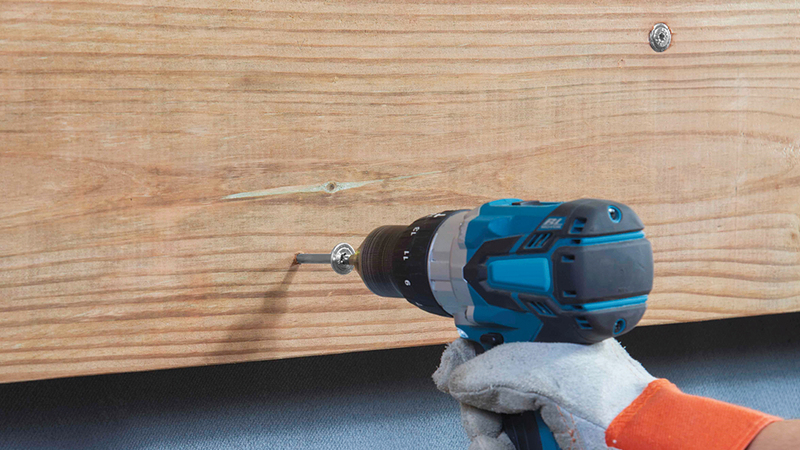 The new SPAX USA exterior/deck screws feature HCR-X coating, which is code recognized for use in pressure-treated lumber and has been tested for use in coastal building condition 4. 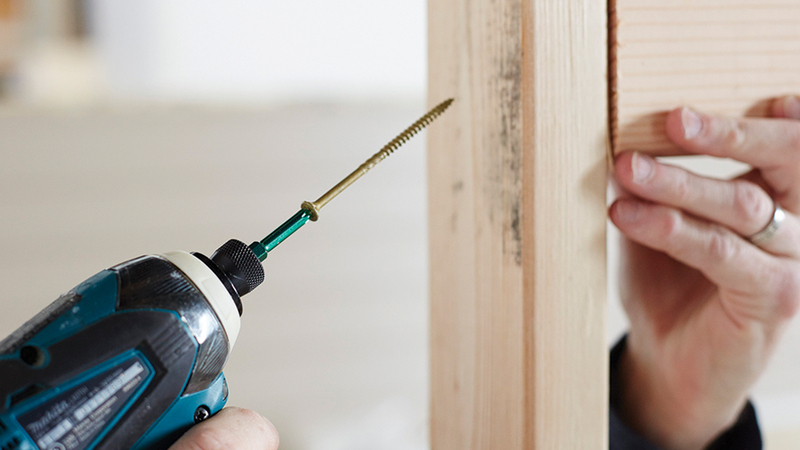 The screw has several benefits for the contractor as well. Huttig’s packaging also offers a benefit to the dealer by making it easier for the customer to find what they are looking for. Screw Products Inc. is also making changes it hopes will help customers better identify and find their products at the dealer with a rebranding effort. “We’re taking the different product families and we’re branding those families under specific names to make it easier for the consumer to be able to call those screws out, in particular at the store level, to be able to buy them,” says General Manager Steven Wahoviak. The five products include four-star drive screws: Axis, a counter-sinking wood decking screw; Epic, a trim head wood decking screw; Pico, a small-head screw that can be used for wood, PVC or composite decking, or concealed fasteners; and Nova, a flathead star drive lag screw. The fifth screw, Yukon, is a hex head lag screw. As part of the rebranding, Screw Products Inc. will also be updating its product literature and training to highlight specific applications for the fasteners. That information will help dealers better train their salespeople on the uses of each fastener, says President/ CEO Jim Miller.